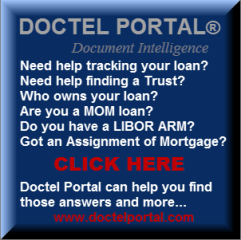 REALITY CHECK – SECURITIZATION FAIL! If you do nothing else this weekend – PLEASE read this post. 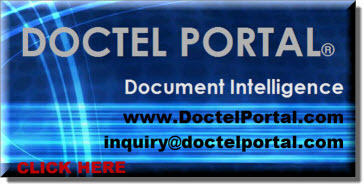 Yes, it’s long – it’s factual, hang in there and you’ll learn what you need to know. 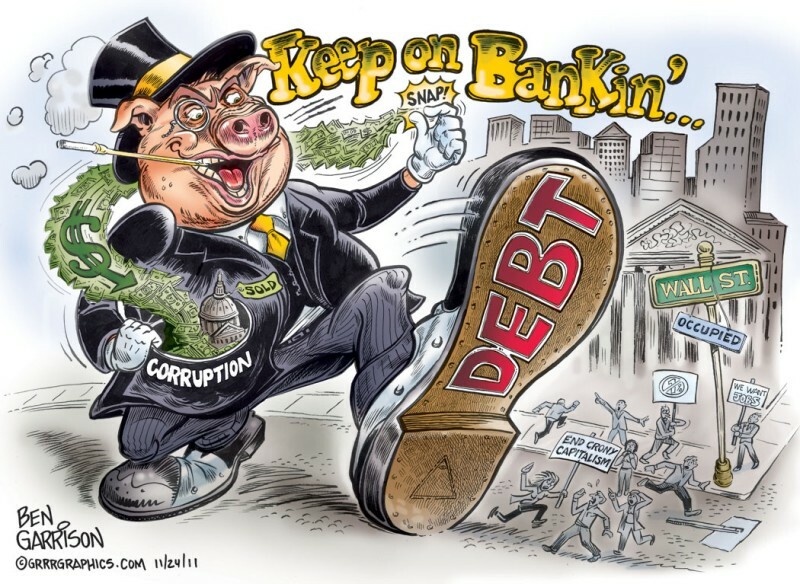 The public deserves to know the whole truth about the banking Ponzi scheme that is taking us to the brink of a World Wide Great Depression. Most average homeowners have no idea what a REMIC is – actually most attorneys have no clue …. so, you know many of the Judges are completely in the dark. REMICs are a form of IRS tax shelter sold to investors as part of the mortgage-backed securities package (Real Estate Mortgage Investment Conduit (“REMIC”) pursuant to I.R.C. §§860A-G). Dylan Ratigan has been a powerful journalist in the investigative media exposing the frauds and government mismanagement of the Wall Street Ponzi scheme that lead to the worldwide financial collapse. 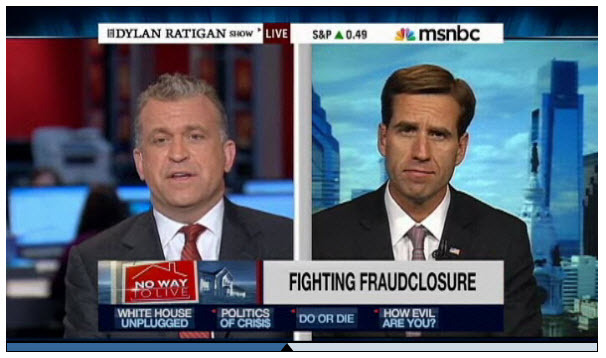 Delaware AG Beau Biden is the most recent of attorneys general to file a lawsuit on behalf of the homeowners in Massachusetts against MERSCORP, Inc. Ratigan’s interview with AG Biden identifies the significant issues that ALL attorneys general (including Hawaii) should be considering. 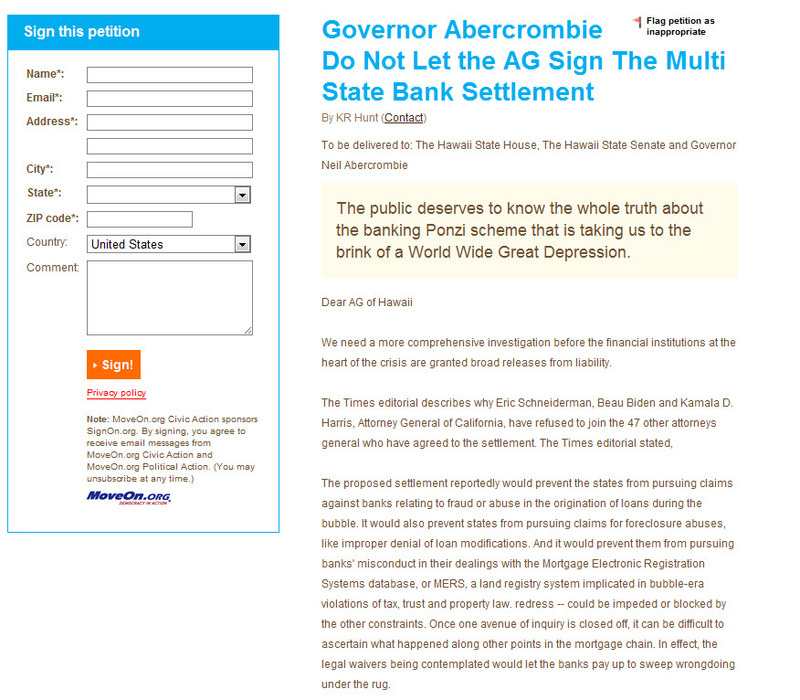 COMPLAINT | STATE OF DELAWARE v. MERSCORP INC. Go Go Beau! As most of us are aware – it’s about time that MERSCORP, Inc. became the thrust of the AG’s investigations. 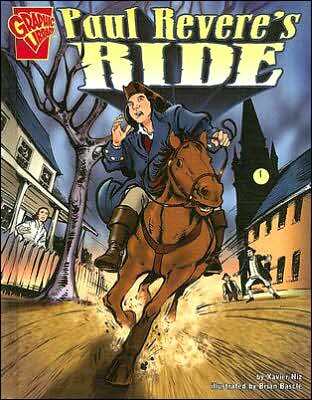 It’s also about time that JUDGES started reading up on the lawsuits against MERSCORP, Inc. and it’s “straw man” empty shell entity Mortgage Electronic Registration Systems, Inc. and quit giving them a free ride. STOP making BAD law thinking you are protecting your pension and retirement funds – THEY ARE GONE! 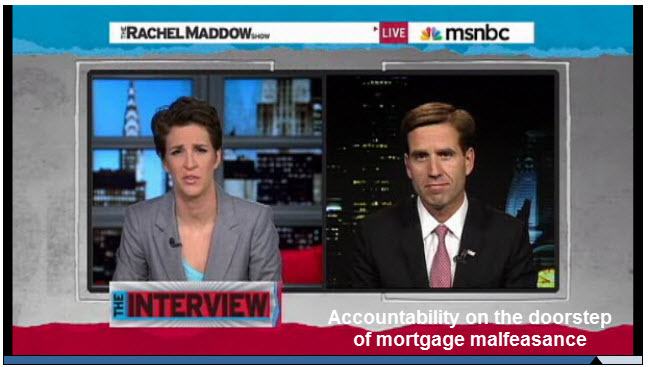 If there is one MUST WATCH interview for all Legislators, lawyers and JUDGES – it’s the MADDOW – BIDEN interview on MERSCORP, Inc. CLICK HERE and pass it along to your friends on the judiciary committees and the Judges on the bench. 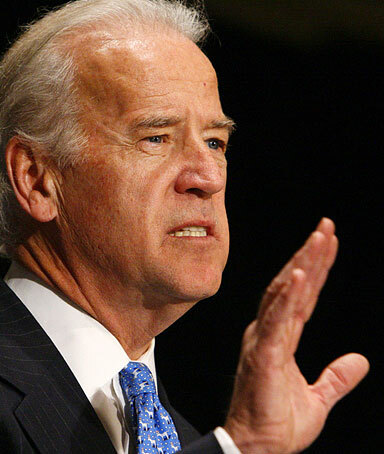 (CNSNews.com) – Vice President Joe Biden said Wednesday that “people died” and “people’s homes burned to the ground,” because the Bush administration allowed “God-awful Ponzi schemes” on Wall Street. Speaking at a rally to promote a piecemeal provision of President Obama’s jobs proposal, Biden told police and firefighters that the budget shortfalls of state and local governments were not attributable to state and local governments. 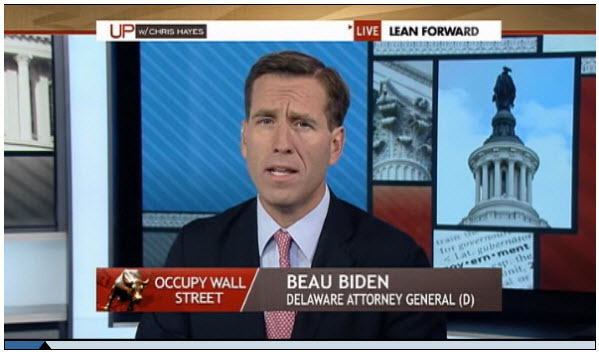 Delaware Attorney General Beau Biden TOTALLY Gets It! 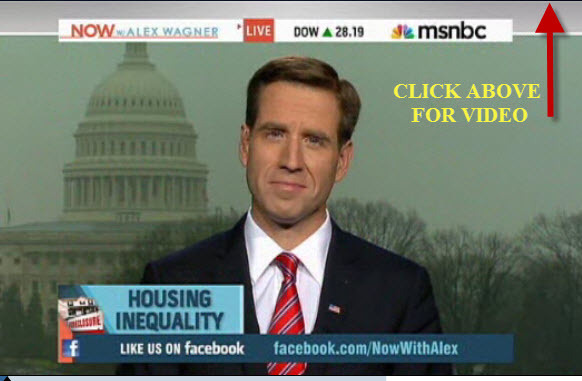 And here’s the second half of Sunday’s program of Up/Chris Hayes on MSNBC, in which VP Biden’s son, Delaware Attorney General Beau Biden, weighs in on the big banks… This is a awesome interview – AG Biden and Chris “Get it”. Click here for interview.